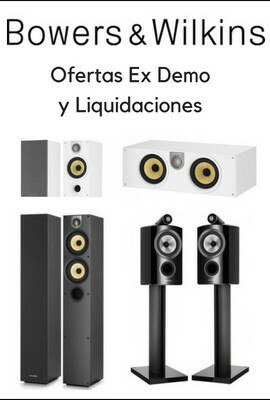 Sintonizador FM analógico, 3 secciones de amplificación de señal As successor to the FT101A, one of the most sensitive, selective and sonically accurate FM tuners of our time, the MD-90 continues the tradition by re-defining state-of-the-art in analog FM tuner design. As did the FT-101A, the MD-90 combines the very latest in discrete, analog technology. 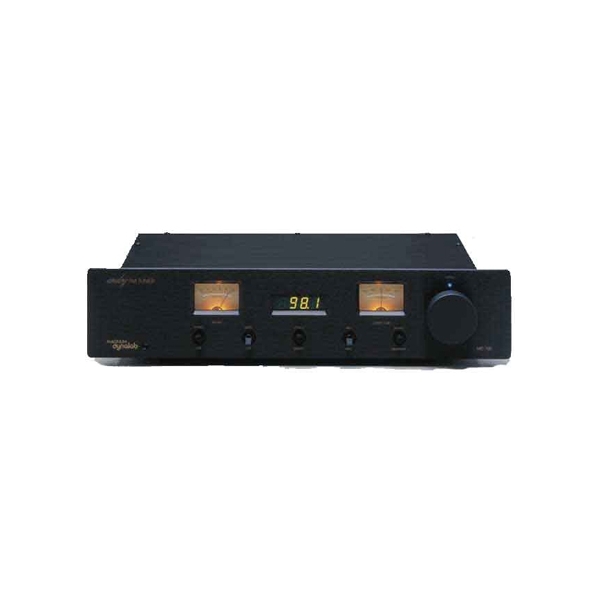 Its highly renowned MOSFET front end provides 3 stages of very careful and precise amplification. Here even the most fragile of signals is strengthened and further defined by using highly effective "group delay" filtering. The result is a sonically correct audio signal, one that contains all the inherent richness and brilliance of the source being broadcast. In addition to the features offered by its predecessor, the MD-90 now offers even greater selectivity in order to deal with urban signal congestion. The MD-90's in house manufactured 3-stage RF front end is sure to extract the most intricate signals from amongst the milieu of FM congestion that abounds in today's urban markets. Additional support is given through our custom Auto Blend RF Circuit, which constantly monitors and varies your stereo separation insuring optimal "stereo quieting" during your listeing sessions. The MD-90 now incorporates all functions in a totally redesigned motherboard. This integration has provided the necessary design efficiencies to allow consistently higher levels of selectivity to be maintained. Along with added selectivity, the MD-90 has a redesigned power supply circuit that maintains the tuner circuitry at standby at all times when the tuner is connected to a live AC source. The MD-90 can now also house the analog remote system (FTR) inside the chasis allowing for precise analog tuning through the optional infra red remote control. 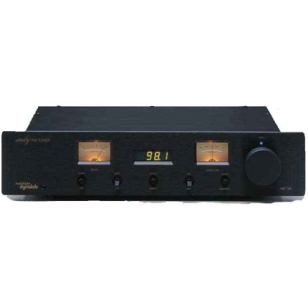 (sold optionally) Features & Benefits Dual, keyed automatic gain control (AGC) - Monitors and maintains program signal level and clarity, along with providing a dramatic reduction in interference from strong, local stations. BW 1/ BW 2 bandwidth control - Switchable to effectively control annoying sideband interference. Mute circuit - noise-activated with manual defeat switch. Auto Blend RF circuit - automatically monitors and varies stereo separation insuring optimal "stereo quieting" during your listening sessions. Stereo/Mono Mode - User switchable. Digital frequency display - Independent frequency counter derives input from tuner's local oscillator section and displays in soft, amber 0.5" LED numerals. Large, easy-to-read panel meters provide continuous monitoring of rf input level, multipath interference level and center-tune condition. Frequency tuning is via a precision potentiometer which provides a precise, filtered voltage for the tuning varactors. Visual output is via the digital frequency display. The actual tuning mechanism consists of an ultra smooth, large, front panel control knob. Function switching is provided through tactile, toggle switches. Why Analog? In contrast with the frequency synthesis method of tuning, analog is not dependent on a digital microprocessor chip to establish the tuner's receive frequency. With analog, tuning is accomplished using specially-selected, discrete components in the tuner's critical "front end." In the Magnum Dynalab design, these components are selected and matched so that a unique balance of sensitivity, selectivity and sound can be maintained. However, the most significant advantage in analog is that is delivers control into the hands of the user. With the MD-90, infinite tuning is available in order to establish maximum stereo separation or to detune slightly in order to minimize on-frequency noise. With frequency synthesis tuners, this capability is offered usually in fixed, 50KHz steps. While FM stations themselves are rarely found to be transmitting outside the +-2KHz standard, FM station signals that are rebroadcast over cable may not be quite so precise. Sintonizador de AM/FM. Funciones RDS.40 emisoras preseleccionables.Mando a distancia.